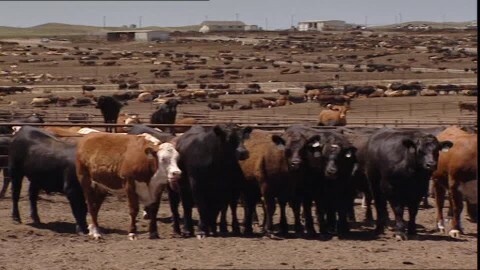 The European Commission proposed on Monday (3 September) a redistribution of the existing quota for hormone-free beef in order to address longstanding demands from the US to increase its exports within the agreed limits. The Commission requested a mandate to negotiate what portion of the existing quota could be allocated to Washington. The EU executive would need to negotiate also with other supplier nations “to ensure that any agreed country allocation of the said tariff rate quota with the US respects their existing rights under the WTO/GATT agreements”, the mandate says. The proposal represents a conciliatory gesture toward US President Donald Trump to ease the trade “tensions”, following his agreement with Commission President Jean-Claude Juncker last July, said Commissioner for Agriculture Phil Hogan. The Irish commissioner stressed that the outcome would not increase the existing non-hormone beef quota of 45,000 tonnes (around 0.6% of the total EU beef market) and would be WTO compatible. Given its rejection of US’s use of hormones in beef production, Europe accepted in 2009 to open European markets to US hormone-free beef. But the quota was also open to other qualified suppliers. The US complained that its non-hormone beef exports were squeezed by other countries, especially Argentina, Uruguay, Australia and to a lesser extent Canada and New Zealand. Washington requested in 2016 a review of the agreement (memorandum of understanding), and new contacts took place earlier this year. “The European Commission is committed to making headway,” commission spokesperson Daniel Rosario said on Monday. Rosario stressed that the mandate would not alter the EU’s consumer and health standards, in particular on the use of growth-promoting hormones in beef production. He added that it would also respect the agreement reached between Trump and Juncker to exclude agricultural products from the ongoing trade talks. “It is how the existing quota works,” he insisted. The Commission consulted with member states and farmers associations and the proposal did not raise any flags as long as it was WTO compatible and the quota was not exceeded. But it remains to be seen how the Commission could allocate part of the quota to the US while ensuring that it remains open to all, as the WTO demands. In order to avoid a new complaint to the WTO by affected suppliers, the Commission could use the free trade deals under negotiation with all the major beef exporters to find a solution. The EU executive is in talks with the Mercosur bloc (which includes Argentina and Uruguay), Australia and New Zealand. Canada already reached an agreement with the EU on this issue as part of the Comprehensive Economic and Trade Agreement (CETA). Beef was one of the most sensitive issues of the CETA negotiations. Following intense negotiations, the EU accepted 45,000 tons of hormone-free beef from Canada. The concession helped to settle the dispute with Ottawa over the hormone-treated beef at the WTO.